Oct 31 Sprint start times changed to 1:00pm (Note new time! Oct 17 Updated tent camping information (new price, limited number of campsites. Check this out if you are planning on tent camping! Maps Here's some handy links to help you find the event headquarters and the start locations. There will be a sample O map provided to all competitors for both venues, showing warmup terrain, start location, marked route to start, and other info. The map will be similar to a "Model", but there are no controls, and the terrain is not completely relevant. The map will be similar to the map shown in the "Batsto start map" link above. Both days feature remote Start Areas. Please plan your time accordingly. The Start Area is 1.4km from the main competition parking area. You must follow marked trail all the way to the Start Area. Park officials do not want us going off of the path to start in any way (so no warming up on the path). The naturalist mentioned fragile plants right along the path that people may not even notice are flowers. Please stay on trail and allow 15-20 min. for a walk to the start. The Start Area is 2.5km from the main competition parking area along the road. There will be 2 shuttle busses available for your convenience. Round trip should be about 20-30 minutes. If you like you can warmup on the way to the Start along the road. Please use caution doing that. Event Headquarters Ramada Inn at Hammonton. Packet pickup there Friday night until 11 pm. Large meeting room for socializing Saturday afternoon and evening. Introduction The Batona Trail is approximately 50 miles long and passes through both of the parks we will be using which means that on both days, you will be running along and/or across this favorite local trail. 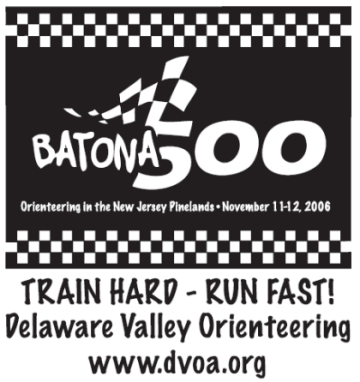 The Batona Trail was planned as a wilderness trail, and yet only low rolling hills and occasional sandy or wet areas are its most severe test. It traverses features typical of the Pinelands – slow meandering, tea-colored cedar water streams supporting cedar swamps and bogs, sandy high grounds anchoring tall pitch pines, deserted sand roads that once led to thriving towns and industries, passing through oak-pine forests, along cranberry reservoirs and blueberry farms. 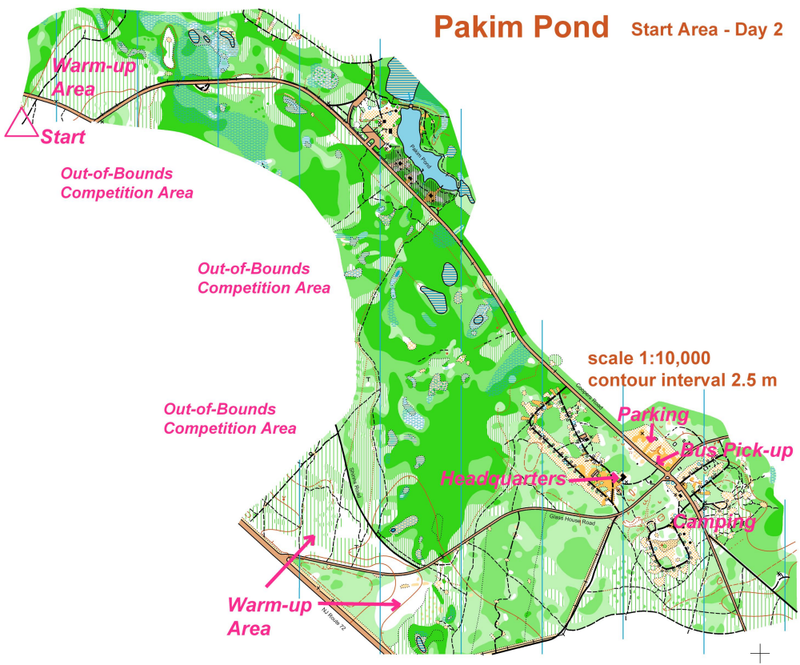 Saturday's Batsto terrain is a brand new area for orienteering, but its potential has been known almost as long as we have been using Pakim Pond. Eric Weyman and Mikell Platt independently co-discovered the area. Eric probably spotted it first on a USGS map in the late 70’s while at Rutgers University. But Mikell probably set foot on it first, around 1988, coincidentally while mapping “Four Mile Circle”, the original color version of Pakim Pond. Batsto is located within Wharton State Forest, which covers over 110,000 acres, making it the largest single tract of land within the New Jersey State Park System. The Batso terrain was used for charcoal making to support the early glass industry at Batsto Historic Village. 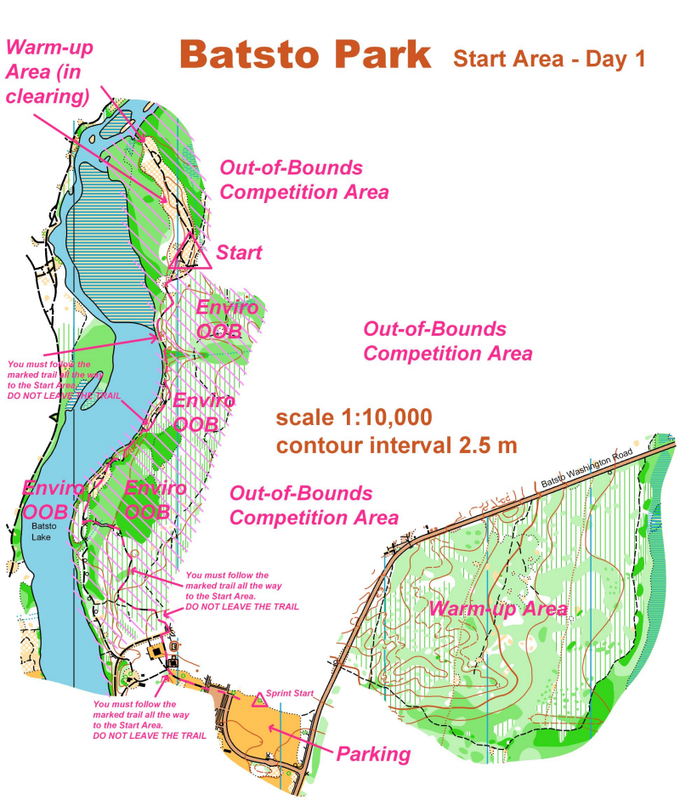 (Visit www.bastovillage.org for more information.) The area was reportedly covered by a network of charcoal burning grounds, but there is no surface evidence of this today. Perhaps the charcoal terraces eroded away in the sandy soil, or perhaps the land was so flat no terraces were needed to stabilize the burning. While field checking, we did notice features resembling collier’s hut ditch mounds, but only a couple were deemed strong enough to make the map. Terrain Both Batsto and Pakim Pond are part of the New Jersey Pinelands, formerly known as the Pine Barrens, home to the mythical Jersey Devil, namesake of the NHL hockey team. Despite the name, the forest is not entirely Pines. While much of the Pinelands is flat, thick and wet Pine and Cedar lowlands, the upland forest where most of the orienteering will take place changes to a mix of Pine and Oak. Though not hilly by normal standards, these uplands are high enough to possess small pockets of detailed contour features. Blueberry and similar bushes dominate the ground vegetation, but become shorter and sparser with elevation gain. Unique to the area is an extensive network of fire ditches, some as distinct as trails, some only subtle depressions in the woods. The Pinelands has a uniquely simple beauty – sandy soil, generally excellent visibility, forest floor with low to medium ground cover, pine needles and moss, full of orienteering challenges that test navigating skills without the boulders and steep hillsides to wear you out. Course Info Two-day combined-time competition with sprint fundraiser event on Saturday afternoon. The estimated winning times will follow USOF guidelines for classic-length courses. However Saturday’s advanced courses will have flexible winning time (35-60 min.) to allow course setter to design courses that best fit the terrain. It is planned that all men running Green will use the same course, and that women will use a different Green course. Advanced courses (Red/Blue) will use scoring (point) system in order to combine two days. Details are subject to change. Climb will be minimal. 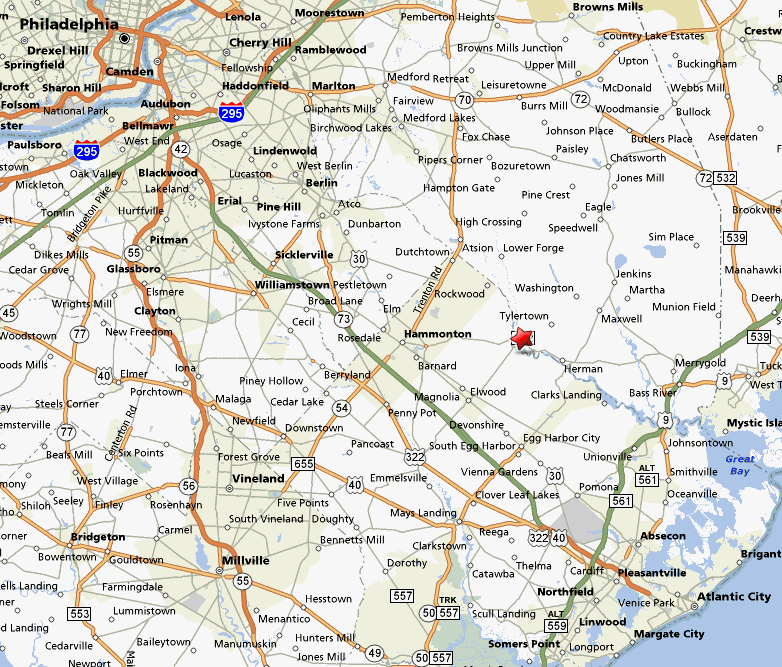 Map: Batsto, Wharton State Forest, NJ; Scale: 1:5000; Contours: 2.5m. The area used for the sprints is very flat offering high speed running. The courses will start from the northern part of the field used for the parking and finish in the same area as regular Saturday courses. Please note, Historical Batsto Village area features wooden fences which are UNCROSSABLE for all competitors. Both courses will cross road(s) and/or village parking lots. Local traffic is very low, but use caution when crossing roads. Also please respect people visiting Batsto village. Sprint-A is extremely fast running course with simple navigation and is spectator friendly. Sprint-B requires advanced (at least Orange) level of navigation skills, but still fast running. Course will be crossing local road with low intensity traffic, please use caution when crossing road. The courses will be open between 1:00PM and 3:30-4:00PM Saturday with 1 minute start intervals. There will be a sign up sheet available at Registration area, so, please sign up ahead of time to make sure you get out earlier. Otherwise, just line up at the start to go out. If you didn't register for the sprints in advance, don't worry. 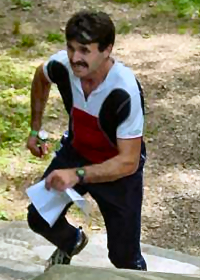 You can do it anytime on Saturday and enjoy good time running in the best parts of the woods. Standard White and Yellow courses will be available both days as recreational. Pre-registration is not required for those courses. The entry fees will be $7.00/map for an individual adult or first member in a group (a group can use one map), $5.00/map for Scout/Youth Group, and $3.00 for each additional map in a group. Saturday registration opens at 9:00 a.m., short beginner's clinics will be offered between 9:30 and 10:30 a.m., and start times will be available from 10:00 a.m. to 12:00 noon. Sunday registration opens at 8:00 a.m., short beginner's clinics will be offered between 8:30 and 9:00 a.m., and start times will be available from 9:00 a.m. to 11:00 a.m.
E-Punching SportIdent electronic punching will be used on all competitive courses both days. Competitors must either own an e-card or rent one. Replacement cost for losing a rental is $35. Accommodations There are varieties of lodging options to meet every taste and budget in Atlantic City or just a short drive away in the nearby cities of Absecon, Pleasantville, and/or Hammonton. Free Deluxe Continental Breakfast, Data Port Phones. Mention DVOA for special rate($75 + tax)at Ramada until Oct 30. Call to get the special rate. Saturday Dinner No dinner planned but several restaurants nearby. 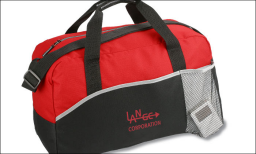 T-Shirts & Sport Bags Short sleeve T-Shirts and commemorative SportBag are available. T-Shirts and Sport Bags are $15.00 each. From US-30 East [White Horse Pike] in Hammonton take SR-542 [Pleasant Mills Rd.] toward Batsto, follow SR-542 north-east for about 7mi and watch for O'-signs and/or turn left at Tylertown Rd toward Batsto village. From US-30 West [White Horse Pike] take right onto CR-658 [Columbia Rd.] and go 1.4mi, turn right onto CR-623 [Pleasant Mills Elwood Rd.] and go 4mi, turn left onto CR-643 and follow it for 0.7mi, turn right onto SR-542, go for 0.9mi, watch for O'-signs and/or turn left at Tylertown Rd toward Batsto village. From Garden State Pkwy South take exit #52, turn left at E Greenbush Rd., turn right at US-9 and go 1.3mi, bear right at Hammonton Rd. and go 2.9mi, continue on Pleasant Mill Rd [SR-542] for 8.8mi and turn right at Tylertown Rd toward Batsto village. From intersection of NJ RT-70 & RT-72 go 3mi East on RT-72 and watch for O'-signs (be ready to turn left onto Buzzard Hill Rd.). From Garden State Pkwy South take exit #67, turn right on CR-554 [W. Bay Ave.], merge with RT-72 [Barnegat Rd.] and go 2.5mi till intersaction with RT-539. Continue on RT-72 West for the next 10.2mi till you see RT-563 on your left. Go for 0.4mi and watch for O'-signs (be ready to turn right onto Buzzard Hill Rd.). 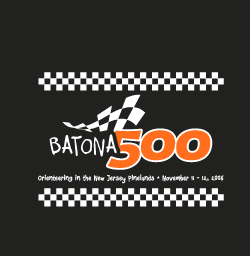 From Garden State Pkwy North take exit #58 and follow CR-539 toward Trenton for about 10 miles, turn left at RT-72 [Barnegat Rd.]. Continue on RT-72 West for the next 10.2mi till you see RT-563 on your left. Go for 0.4mi and watch for O'-signs (be ready to turn right onto Buzzard Hill Rd.). Alternative route: from Garden State Pkwy North/South take exit #63A/#63, follow RT-72 West [Barnegat Rd.] toward Camden for about 18.1mi till you see RT-563 on your left. Go for 0.4mi and watch for O'-signs (be ready to turn right onto Buzzard Hill Rd.). Pine Barrens Environment: Flat topography with sandy soils. Vegetation is Cedar Bogs in low lying areas, pinelands, and oak hardwood in the upper areas. Extensive fire ditch networks. Come join us in November for two days of special orienteering on these two never-before-used maps!